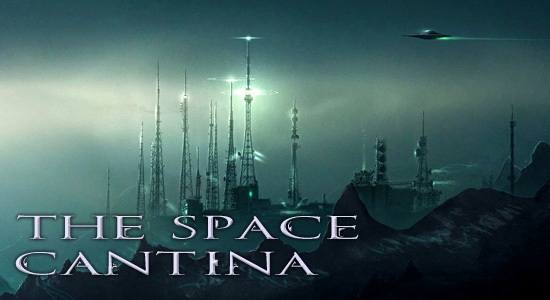 The Space Cantina – When is Dark Winter Book 2 starting up? No one has actually asked this, but I thought I’d post anyway, just in case. Book 2 is starting very very soon. I’ve begun writing it but I have two things on my mind right now. The first is the release of H1Z1 in Early Access this Thursday. I normally release my chapters on Friday. It is entirely possible that if I post a chapter this friday, it will be entirely buried by issues of EA. I have a number of loyal readers (about 40 of you, no small number!) and I would hate to release something for you and have you miss it! That said, it wouldn’t be going anywhere and you could always find it later. So I’m considering putting of Chapter 1 of Book 2 until Friday, January 23rd. That would give me more polish time and let the initial excitement of EA die down a little. I might be missing out on some new readers coming to Reddit for the first time this Friday though. It’s a very tough call. So, Mike, when are you doing it? The answer is… I’m not sure. I want to see what state the chapter is in by Thursday. If it’s good to go, then I’ll release it. If it is… well, not up to par? Then next Friday instead. Like SOE, I don’t want to release a crap, rushed project. Why? Because you guys rock and I want you to get the best possible work from me. And maybe I’ll be too busy playing H1Z1 this Thursday. Maybe. But I’m sure that will be a small issue right? This entry was posted in Dark Winter, Fan Fiction and tagged Fan Fiction, H1Z1, SOE, The Space Cantina. Bookmark the permalink. Take your time. I check every day to see if if you have released new content but that is because I enjoy this story soooooo much. Would be great to bump into you in H1Z1. Anyway keep up the great work. When you publish this I am definitely going to buy it. Kalpally = Big fan of Dark Winter! Woot!